A full profile of Elected Mayor, Gordon Oliver including ward, surgey details, responsibilities, and contact addresses. Gordon Oliver was elected as a Councillor prior to 9 May 2011. 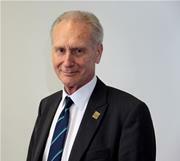 Gordon Oliver was elected as Mayor of Torbay from 9 May 2011.